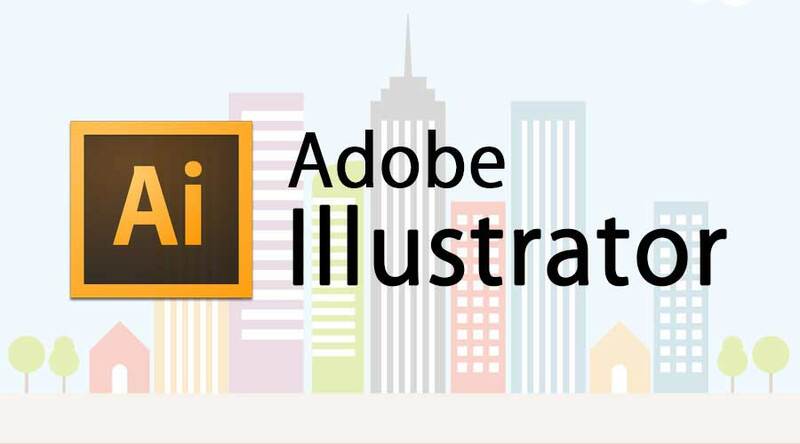 In this Article, we are going to learn about Adobe Illustrator for beginners. So let’s start, Did you ever fall in love with a Design? Have you ever experienced an engrossing moment trying to decode the tones and patterns in a graphic? In any of the cases, it is clear, there is an artist inside you, and it is the important reason you are reading this page now. For all our good, you landed in the right place. Where we understand your passions for design and help you give a shape to your ideas with the best designing tools and software available. In this post-Adobe Illustrator for beginners, we will discuss how to start designing using Adobe Illustrator software. And we take you through the following chapters that you need to know as an Adobe Illustrator for beginners. It was never in our mind; that graphic designing is another formal education type. We add a lot of fun to the posts to ensure you don’t just learn it but enjoy the experience. To get the process more practical, we included an interesting project at the end of this post-Adobe Illustrator for beginners you can practice with the tools you are going to learn here. It’s simple yet, comprehensive and fun. Where Adobe Illustrator is used? Adobe Illustrator beginners tutorial is the Industry’s leading Vector graphics creation software. It is regarded for the high-quality vector graphics that never lose their quality irrespective of scale. The Adobe Illustrator software is widely used in Web and Print designing. However, we cannot restrict its usage to the two communities as the range of benefits it offers can be equally fulfilling in many other Industries. To have a proper idea about the Adobe Illustrator training you should understand its anatomy. Knowing the structure of the graphics can benefit you with a higher level of control in creating and editing the graphics. As mentioned above, Adobe Illustrator software is used to create vector graphics. But, what is a vector graphic? Let us discern its anatomy. Adobe Illustrator software is vector-based graphics software, unlike the most popular Adobe Photoshop. It creates high-quality vectors that can be stretched to any scale without losing its original quality. In fact, it is the significant quality that distinguishes vector graphics from pixels. Before diving deep into that, let’s see how vector graphics look like. As we grasped the invincible quality of the vector graphics, let’s know what makes a vector graphic different from a pixel-based graphics file. Pixel-based graphics are files that store the color information in pixel form. A group of pixels closes together having an individual color values form into a single image. However, vector-based graphics structure work quite contrary to the above. In a nut-shell, vector graphics are considered as connecting the dots. They are created by connecting multiple points called Anchor points. It is out of a question to find a vector graphic without Anchor points. 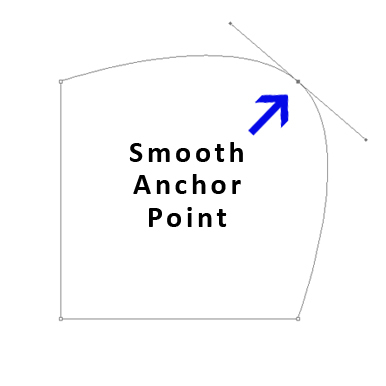 The line connecting two Anchor points is called a path. A path can be closed by connecting all the Anchor points from where it has started, or it can be open without closing the anchor points. But remember, to fill an object you need minimum three anchor points. A path connects three or More Anchor points and forms a shape. As we just knew about the Anchor points and how path and shapes are formed through them. There is another important point that should be mentioned before we enter into the next segment. 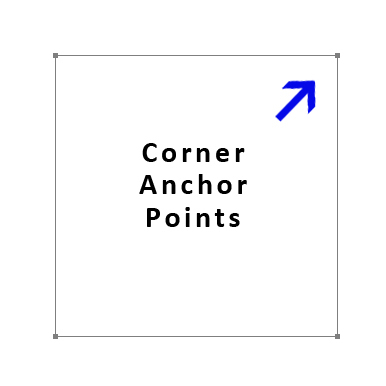 It is the types of an Anchor point in Adobe Illustrator for beginners. The following image gives an example of the corner anchor points. They usually are used to draw straight lines or corners edges. The anchor points that create a curvy edge are the smooth anchor points. The Advantage of them is the level of control it provides for editing a path while drawing or correcting. The third type is rarely used. 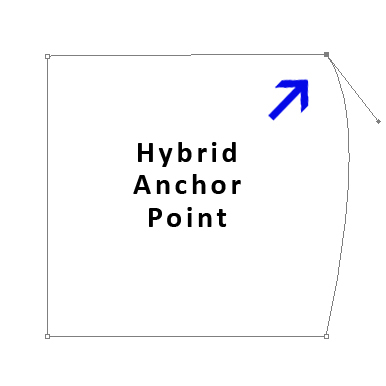 In most of the instances, the above two types of anchor points can serve you the required paths and shapes, it is a rarity you will find to use the hybrid anchor point. Take a look at the image to know the difference between them. Fill and Stroke is the two best buddies inside Adobe Illustrator for beginners. But, it is up to us to decide the friendship should long or not. The color of the path is called a stroke, whereas the color of the stroke is the fill. The two are the primary compounds to create every object in a vector graphic. 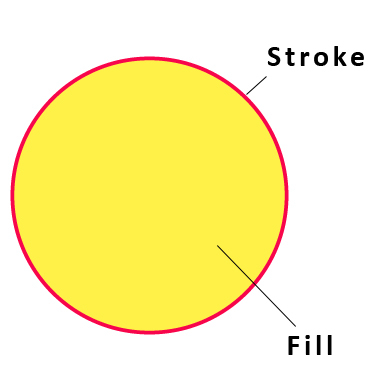 In a casual sense, a stroke can be understood as the border and fill as an object. 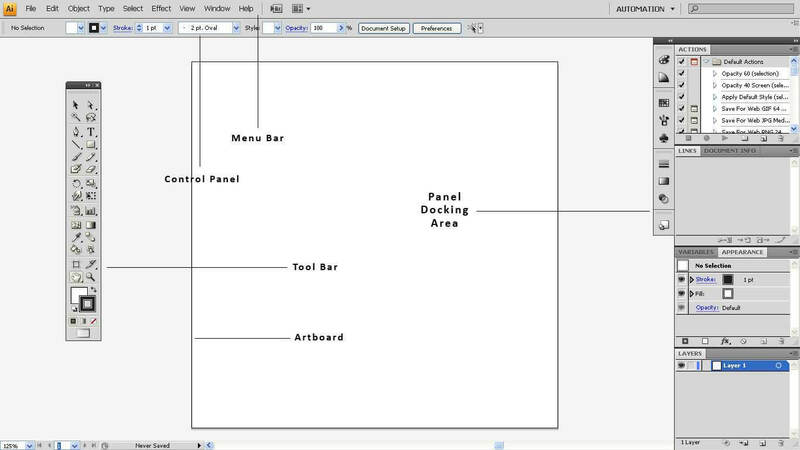 For the Adobe Illustrator beginner tutorial, Adobe Illustrator workspace can look chaotic and subjugated with a number of panels and tools spread across the screen. Don’t let the fear bug bite you. We are here to throw your worry aside and make learning a wonderful experience. The image seen above is the workplace and every button and panel in it are there for our users to create impressive vector graphics. Take a look at the names and keep it in mind until we discuss the interface in a detailed chapter. The Toolbar is the utility kit of Illustrator. It has every tool that is necessary to keep get the design going. By default, the toolbar is displayed with tools arranged alongside with other tools. Whereas, you can change it into a vertical mode in which the tools are stacked on top of one another. The galleries are arranged in a way to add a clear position and avoid confusion. However, there are few tools like Artboard tool that are added recently in Illustrator is not placed with its set of tools. 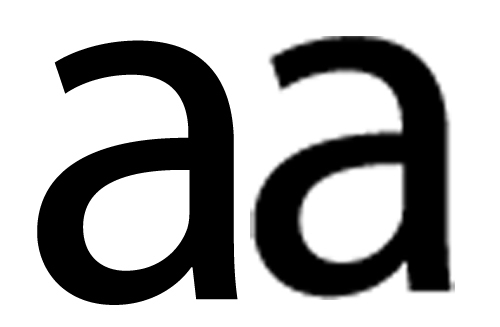 Though Adobe distinguishes Artboard as a selection tool – it is misplaced near moving and zooming tool. Nobody knows what is in Adobe’s mind. In this post-Adobe Illustrator for beginners, we will look into the selection tool gallery and few of the painting tools that can come to use to finish the final “A Dog out of A Dog” project. When it comes to the tools, the name says it all. It is easy to identify the purpose of the tools by its name. The selection tools are meant to select the objects to move, resize, edit or delete. It is the primary tool in Illustrator that selects anything on your workspace including artworks and images. To select, you can choose to press the shortcut “V” or click the button. 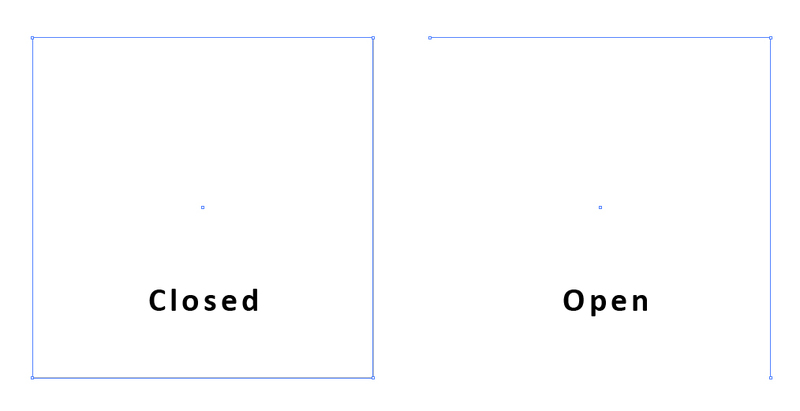 After selecting a vector object in the workspace, the anchor points and the path are distinctly visible. The tool is limited to select the paths and shapes but enjoys no access to edit or select the Anchor points. Direct selection takes the selection process one step above enabling the micro selection. It selects the whole object, and you can also choose the select the anchor point you require and increase the level of convenience in editing your design. When you select a vector object with the Direct Selection tool, you can observe the selection highlighted with anchor points visible in white. When you start selecting the anchor points you set to edit, they are indicated in blue. Refer the images below to understand the selection process. The tool is helpful to select the vector objects that are grouped. Grouping is a different tool that you will learn in the next articles. Till then try to know the presence of the group tool. The Magic Wand selects objects that fall in a similar category. It is not designed to select the anchor points; instead, it comes handy in a complex project to select identical objects with one click. It saves plenty of time and avoids tedious work. Lasso works similar to the Direct Selection tool, but it provides some extra convenience in selecting the anchor points. Magic Wand is a free hand selection tool that allows free selection of anchor points in a complex drawing. In the earlier versions, it was inconvenient to change the size of the workspace in between the project. If it were essential, you should change the dimensions of the file. With the launch of the Art Board tool, the job is just dragging away. The tool makes it easy to select and drag the workspace to the size or dimensions that you want it to be. The Hand tool is used to move and adjust the position of the workspace according to your convenience. While working with Anchor points or fine details on vector graphics, it is essential to look at the image on a larger scale. It is where exactly the zoom tool fits in; it allows to zoom in and zoom out the part of the object you want to scale. In Illustrator zoom works in four ways. You can directly leave click on the object to zoom in, and Alt+left click to zoom it out. Use the hotkey Ctrl+ to zoom in and Ctrl- to zoom out. Left click and drag the area you want to zoom in and Alt+left click to zoom out. Hold the Alt button and roll the mouse wheel to zoom in and zoom out. It is the best tool for freehand drawing in Adobe Illustrator. The level of control provides is amazing in adjusting the size and shape of the brush. A range of brushes and options are found as we go deep into the Brush tool. However, we shall limit the brush tool with a few introduction elements in this Adobe Illustrator for beginners article. Draw an object and select it. Click on the stroke color in the toolbar. When the color picker palette appears, choose the color you want. In this project, we will guide you through a practical exercise in drawing a cartoon dog. We know your question, what is A Dog out of A Dog? That’s adding a little fun to our work that you will know in a moment. The idea is to put all the tools we learned in this Adobe Illustrator for beginners post to use. It’s an easy, simple exercise with a lot of fun. Step 1: Create a new document and name it Dog. 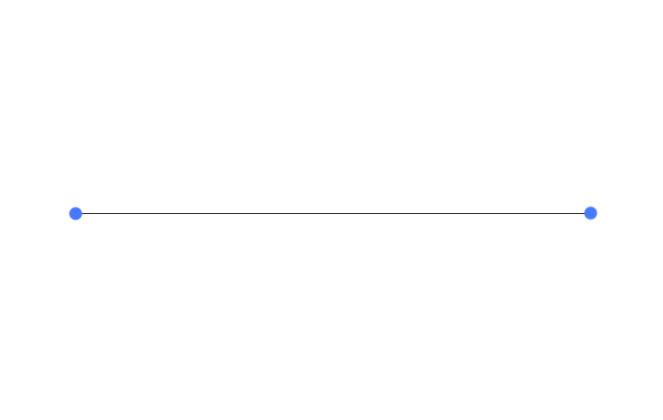 Set the dimensions to W: 500 pt and H: 500 pt. Click OK. Step 2: Empty the fill color by clicking on the None button. Step 4: Adjust the size of the brush by using hotkey ] to increase, and [ to decrease the size. You can play around and choose a size at your will. Step 5: At the center of your workspace, write the letters “dog” with the brush tool. Make sure to write the letters in the smaller case and the circles are of equal size. Step 6: Draw the lines as shown in the image below. Step 7: Give the Dog his Eyeballs and Whiskers. Step 8: Zoom out and start giving the front legs and body to the Doggie. Step 9: After you complete the drawing, your Dog should look something like this. Step 10: Fill the nose with black color and be sure not to fill the small circle to show the shiny wet nose of your friend. Step 11: Now, as we completed the drawing. It’s time to give a color to our furry friend. I chose the following color. Play creative and choose a color to your Dog. Step 12: Add another layer in the Layers Palette and drag it to the bottom. The new layer will be your colored layer. Step 13: Adjust your brush size as per your requirement and carefully draw the color. Do not allow the color reach inside the eyeballs and shiny nose. 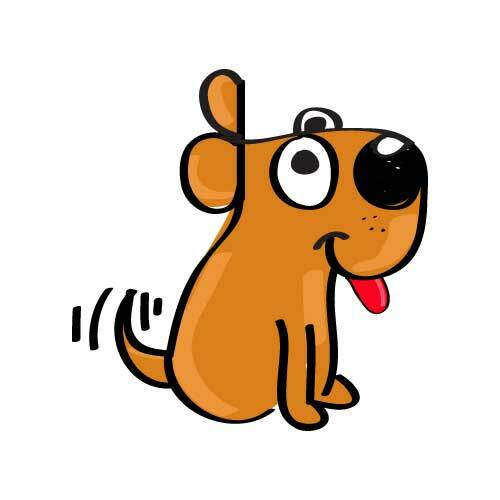 Step 14: This is a good doggy wagging his tail. Isn’t he too plain in this color? Let’s add him some shades. Step 15: Maintaining the same color, try to select a lighter shade, so it goes well with the actual color of the Dog. Step 16: Bring the opacity down to 50 percent, so it will not dominate the original color. Step 17: Your Dog will look like this after shading. But, what is a Dog without his tongue hanging out? Step 18: Select the brush tool and adjust the size. Give the Dog a tongue. Step 19: Fill the tongue with red color and give it a lighter shade if you want. Now your Doggie is ready, “A Dog out of A Dog”. Try to complete the project and remember to be creative, you can always choose to add your style to your drawing. Let your uniqueness be your signature. Want to learn more exciting courses and projects on Graphic designing? Check our Designing archive for more interesting articles and projects. At EDU CBA, learning is an enjoyable experience that you will love. Register in our Illustrator course to know more about vector graphics and design like a Pro.